Starting with “Bottle Rocket,” Yeoman has worked on every single live-action film of Anderson’s. 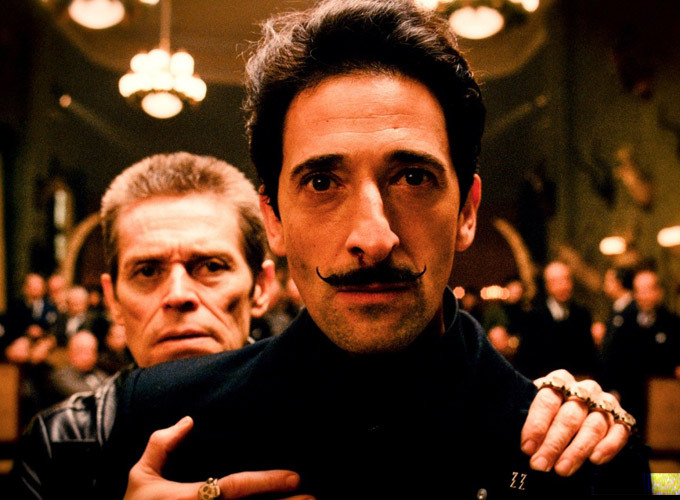 Most recently, he shot “The Grand Budapest Hotel,” for which he could receive his first Oscar nomination. Indiewire recently spoke to Yeoman by phone about working with Anderson and other auteurs, shooting “day for night” and the shift to digital. How much research and preparation did you do with Wes? All of Wes’ movies are pretty well researched and planned out. He had done extensive research before I even came aboard, just tooling around Eastern Europe looking at hotels. So when I got hired by Wes, I flew over to Paris where he lives and we hung out in Paris for a couple of days and he showed me a lot of visual references of old hotels, a lot of pictures of the time period, the 1930s. Then he and I caught a train and went to Prague and hung out in Prague for a few days and kind of immersed ourselves in Eastern European culture and the aesthetics of Eastern Europe. Interestingly, Prague is a beautiful city, but when the Communist regime came in they would just kind of paint over and plaster over a lot of these beautiful buildings. They tried to bring everything down to ground zero, I guess. Prague is in the process of peeling off all of these old artifices and restoring the buildings to the grandeur that they once were. From there, Wes and I went to Germany where we shot. We go to every location that we’re going to shoot and talk pretty extensively about how we plan to shoot it and discuss different ideas and really kind of plan it out. Wes also has a video library of film references, many of them were Ernst Lubitsch comedies. The library is open to anybody on the cast and crew. Also books with visual references of some of the things he had shown me in Paris. A lot of visual references from books and DVDs and things so everyone can kind of get on the same page for what he’s going for visually. Then once he has chosen the locations, he made what you call an animatic — a little kind of cartoon that basically shows with hand-drawn figures. Wes does all of the voices of all the characters and that’s also for anyone to see. It gives everyone a pretty good idea of how the movie is going to be shot. Once he’s found the specific locations, he can kind of draw on them more specifically. It’s kind of a Bible that we have that we can refer to throughout shooting and pretty much know when we get there where the camera’s going to go and how it’s going to move. It gives everybody a pretty good idea of what’s going to happen. 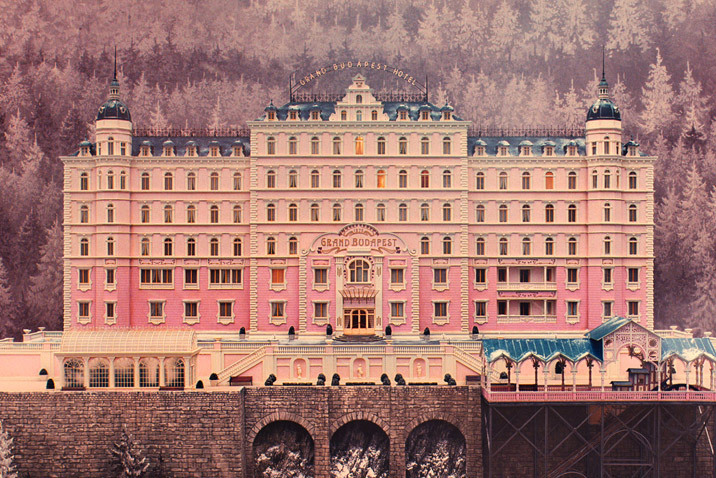 Compared to most directors, there is way more extensive prep time on a Wes Anderson movie, for sure. What films did you look at as reference points? “Shop Around the Corner,” “To Be or Not to Be,” “Grand Hotel,” “The Smiling Lieutenant.” There was a whole slew of them. Wes had the Stefan Zweig books there. I have to admit, I didn’t read them. They’re kind of long. 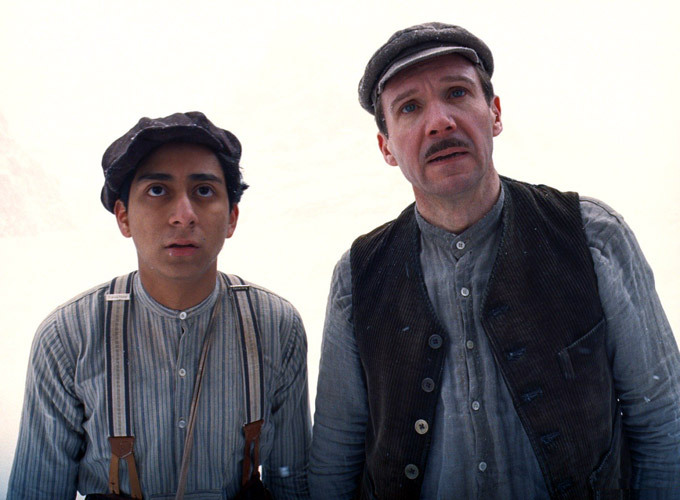 Wes was kind of inspired by Stefan Zweig’s writings. He wrote about kind of a lost Europe in the ’30s. But a lot of the books were photo books of old hotels of the time. Wes had gone to the Library of Congress and they had these photochrome prints, they’re like old black and white postcards that had been colorized, mainly of hotels, but also of the times, how people dressed, town squares, things like that. These were a very important reference to us. In fact, when we started shooting the film, the idea was possibly that we were going to do the whole movie in that style, the photochrome style. We experimented with it a little bit, but in the end, I don’t think Wes was happy with it. And we went for a more naturalistic style. How did you and Wes make the decision to change aspect ratios? It came from Wes and he had this idea that we would have each aspect ratio delineate a time period, the 1930s part of the film was shot in Academy 1.37 which was basically how the movies at the time were shot, back in the ’30s. The ’60s part of the movie we shot with anamorphic lenses, which is a 2.40 aspect ratio. That reflected how in the ’60s many movies were shot anamorphically. Studios were reacting to the advent of television and a lot of things were shot wide screen so people would go to the movies and feel they were getting more bang for their buck, I guess. Then the ’70s or 80s, whatever the right era was, he was 1.85, which is more the standard format which people shoot today. Wes felt that shooting in the format of the time, you could pose shots differently within those formats. I think it put us into that visual mode of the time period and I think it helped enhance the feeling of the time. Were there any other decisions you made regarding the time period? In the lobby of the hotel, which was a sort of a department store that Wes found in Görlitz, Germany. It was no longer being used and it had this beautiful skylight. And Wes knew if we went to an existing hotel, we really couldn’t control it the way we wanted. He wanted to paint it and very much control the art direction. When you shoot in a real hotel, there are always restrictions. He wanted a place that he could convert to his hotel. So when he found this department store, he said “this is the place.” The same lobby of that department store became our lobby and for the ’60s portion of it, Adam Stockhausen, our production designer built a giant drop ceiling, a fluorescent ceiling, which the Communists frequently did at that time. They took out the beautiful lights and put in overhead fluorescent lights, so that kind of ruled our aesthetic in the ’60s quite a bit, particularly in the lobby. Then when we switched to the ’30s part of the film, it was a much more romantic time, much more beautiful. So we pulled that fake ceiling off the lobby and lit through the skylight which gave it a very soft kind of ambience and then we had a lot of practical lights in the background that were very warm and it gave kind of a nice glow that made the place seem much more inviting. It was certainly a different feeling for the two time periods, for sure. What were some of the other production issues that came up? What was the biggest challenge? The major issue was that we were shooting in Eastern Germany in January. It’s dark, it’s very grey and dark and cold. Our window of light for the day was usually about 8:30 in the morning until about 3:30 or 4 in the afternoon. So that gave us very short days and we were shooting film and it was a slower film that meant that it lessened our amount of shooting time even a little more. But Wes liked that film stock. So we really had to scramble during the day, to be organized to get the shots that we needed during the day. So many of our interiors, like the prison, as an example, or the department store that became our hotel, the spa which you see at the beginning of the film with F. Murray Abraham and Jude Law. They had these giant skylights at the top, which unfortunately, even during the middle part of the day, they really didn’t give us enough light for us to be shooting in there. So we had to recreate skylights over the skylights themselves. That was quite a feat to have to do that in three of the main locations. Just the fact that it was kind of cold a lot. Even the locations, like the prison which had been abandoned for many years, it was January and those old walls held so much cold that even if you brought heaters in, it really didn’t do much good. That was something I hadn’t thought of — how cold these places were even the interiors so that was another thing we had to deal with. Why did you decide to shoot “day for night”? We’ve always been intrigued by the idea of “day for night” and we started out, when we were scouting, seeing giant fields — like the scene with them on the haystack — and to light those would require a lot of big lights and require a lot of time. I think that the decision was made to shoot it all at dusk and to shoot very quickly. In some cases, we would come back a second time. 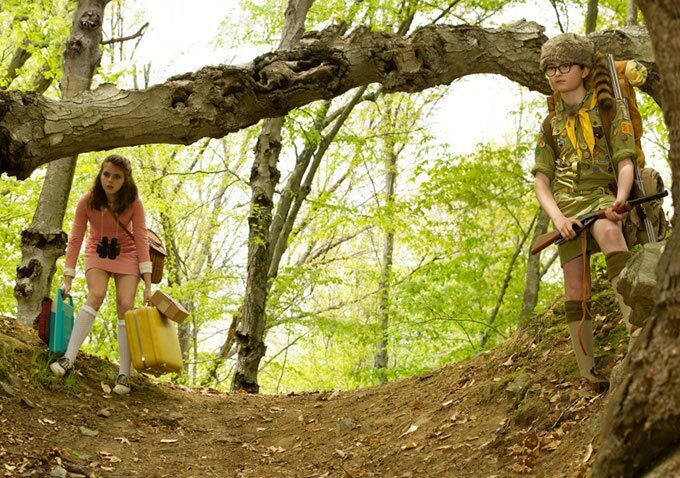 Even on “Moonrise Kingdom,” we had that as our mantra. A lot of the shots, if you remember, where the girl would read the book by the campfire were shot at dusk with no lighting and using the campfire as our source. We were very happy with those. I think it gives the film kind of a magical storybook quality. It’s not quite real, but you get much more of an idea of setting in the place that they’re at. I fully supported Wes on that. It felt like the way to go and it certainly gave us a lot more flexibility with giant night exteriors, you can’t look this way, you can’t look that way. But this way, we were able to get our shots in pretty quickly. You’ve worked with Wes since “Bottle Rocket,” right? It’s been amazing to watch Wes’ career develop, how would you say your working relationship has changed since then? Very early on, particularly on “Bottle Rocket” since it was his first movie, he kind of relied on me more heavily in certain areas because I had done many movies before I met him so I was kind of, I could help guide him a little more on “Bottle Rocket.” When “Rushmore” and “Royal Tenenbaums” came along, obviously, he’s a fast learner and a super intelligent guide and he picked up on what we needed to do very quickly. So he relied on me less in those types of areas and I’m more of a collaborator now where we work so much together, I can anticipate many times how he would like to shoot things. Now we go to locations and we walk through the locations, sometimes Wes might not be sure how he wants to shoot it and I throw some ideas to him. He either accepts that or he says, ‘no, I really don’t want to do that.” It’s kind of a thing where I hit him with a lot of ideas and he can accept them or not. In more recent times, he’s gotten a little more involved with the lighting. I discuss with him how I’m planning to light it and he might throw ideas at me, like “why don’t you try this?” It’s kind of a give and take between the two of us. And I operate the camera so that’s always a role I have on all his films, there’s always very specific ways of doing camera moves and how we work all that out so we work that out together pretty much. You’ve worked with other auteurs such as Gus Van Sant and Noah Baumbach. Clearly, you enjoy working with newer voices early in their career and perhaps helping them develop? Or do you just appreciate working with people with a distinct vision? Both. The thing I like about working with Wes and Noah Baumbach and Gus Van Sant, these are people who really do have a vision of what they want their film to be. So I just do everything I can to get inside their heads and see what they’re going for and my job is to come in and enhance it the best I can and bring whatever I can to the table. But I think the best movies, ultimately, are made by directors who, oftentimes, write their own scripts. For instance, with Wes, he has a very clear idea, you can ask him any question about anything and he will hardly ever say “I don’t know.” He knows the answer to everything. So during the prep, I ask him tons of questions and we hang out quite a bit. So hopefully, by the time we start to shoot, I’m so onboard with his vision and I know exactly what he wants that we try to move very quickly while we’re shooting. Everything is laid out beforehand and pre-planned. Obviously, things come up in the course of the shooting and changes have to be made or adjustments. But to answer your question, I prefer working with directors who really have a vision of their films, whether they’re starting out they’re established, many times I worked with directors who do the light up the cameras and shoot approach and then they figure it out when they get into the editing room. But that’s not nearly as satisfying for me to work on that type of movie. You’ve also worked on big-budget films such as “Bridesmaids.” How different is that? The studio movies tend to have a lot more people. When I work with Wes, he really strips it down and keeps it to the bare minimum people who we need. On a set, you’ll see a guy holding a boom, a guy holding a focus, a dolly grip and me and maybe a few other people, but he keeps a lot of hangers-on and machinery out of there entirely. We don’t have a video village, whereas, on a big studio movie, there’s always two or three big studios villages. There’s always an army of people. Everything moves more slower. It’s a different process. When I work with Paul Feig, it’s a different process of shooting. The actors are often ad-libbing. There’s a lot of improvisation going on, so we use more than one camera, always two cameras and we cross-shoot. We have one camera on one actor and the other camera on the other actor that way if the actors really get in the groove and hit a really good improv, they’ve captured it. It’s so hard to recreate those moments. So it’s a challenge for me from a lighting standpoint. It’s not like every frame is carefully crafted like on a Wes movie, it’s more of a looser situation visually, but I’ve come to realize that’s what’s best for the movie. Many times I have to sacrifice the cinematography a little bit in order to make a better movie. It may not be lit exactly as I wanted it or the frames might not as carefully controlled as I might want them, but in the end, you might get sort of what Paul calls “comic gold” and that’s probably a lot more important to people watching those movies than the frames. It’s a different process, but I enjoy that process as well. It’s fun to be on the set. The actors are a lot of fun to be around. When you have those moments when two actors are going at it and coming up with some great stuff and you know you’re getting it on film — or now digital — it’s very satisfying to me. I look at it as a challenge when I do a movie like “Bridesmaids” or “The Heat” knowing that I have to go in, it’s going to be little more difficult for me in a lot of ways, but how can I pull this off? Sometimes, I come away feeling very happy with what I did and sometimes maybe not as happy as I would like to be. But that’s part of the deal. You mentioned shooting digitally vs. film. What are your thoughts on the two medium? Well, all of my movies were film except for my last film that I did with Paul Feig called “Spy” which we shot last spring and early summer and it’s going to be released in May. That was my first digital movie. I didn’t realize “Bridesmaids” was shot on film. Everything’s been film except “Spy.” We actually wanted to shoot film on “Spy.” In fact, we went to the studio twice and got shot down by the studio. I think that’s just the way it is now, unless you’re Chris Nolan or Quentin Tarantino or Wes Anderson, you’re going to be shooting digitally. That’s kind of the new world. I mean the digital cameras have gotten much better. We shot with the Alexa on “Spy,” there were some situations at night when we were shooting in the tunnels at an old beer factory. There was very little light. The Alexa certainly performed really well in those situations, certainly better than film would have. But, given my choice, I prefer the process and the feel of film. But that said, digital keeps getting better and better. It’s here to stay, obviously!